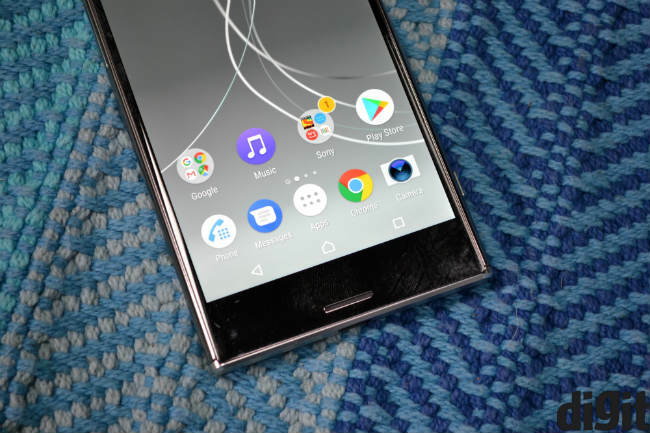 The Sony Xperia XZ Premium is the best smartphone that Sony has to offer, but it's still behind competing devices. As far as flagships go, you could consider the Xperia XZ Premium, but the Galaxy S8 is faster and has better battery life. Sony may not have a real hold on the smartphone space anymore, but its phones remain as relevant as ever. The company recently announced that it’ll focus on the premium range from now on. That, combined with the fact that Sony only caters to its own fans, means the company now has a niche sort of market for itself. For that niche market, the Sony Xperia XZ Premium is the best the Japanese mainstay has to offer. But niche or not, Sony has a place in the market as long as it wants. Not only does the company supply almost all camera modules out there, its flagship phones are still a testament to what the best of Android can be. The Xperia XZ Premium is priced at Rs. 59,990 and carves out a place for itself in a market that’s more crowded than the Mumbai local trains. You can always trust Sony to stand apart in one way or the other. The Xperia XZ Premium looks nothing like any other smartphone you’ll find. 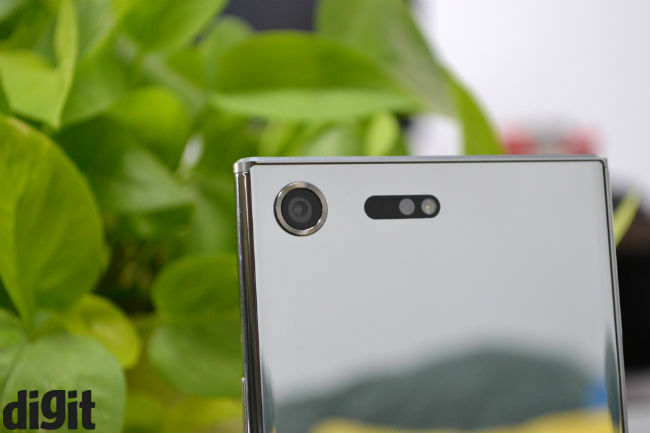 While it does have glass on both sides like so many other smartphones today, the mirror-finish is distinct. 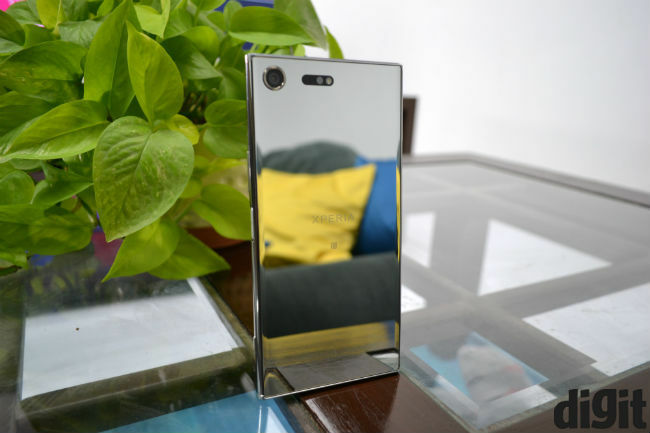 True to its name, the Xperia XZ Premium literally feels like it’s wrapped in a mirror. While it’s a unique design indeed, the mirror finish is slippery and extremely fingerprint intensive. Combined with the phone’s large footprint, the XZ Premium is certainly difficult to use. While the display size is only 5.5-inch, there are large strips of glass above, below and on either side of the display. The phone’s overall footprint is closer to 6-inch or larger smartphones. Almost all of Sony’s design choices here are double-edged swords. For instance, the top and bottom of the phone have chamfered metallic strips, which look premium and unique, but they’ll dig into your hands when holding the phone in landscape mode. Similarly, the dedicated camera shutter button lies near the bottom of the right side, and you often end up pressing it inadvertently. Personally speaking, I do like the Xperia XZ Premium’s design. It’s refreshing, new, unique and there’s not a single bone to pick in terms of build quality, except the obvious fact that glass breaks and scratches easily. That said, many may call this gaudy, especially in the chrome finish, while fingerprints will be easier to spot on the black variant. The pixel race on smartphone displays seemed to have reached saturation, until Sony unveiled the first version of this phone last year. The highlight here is that the XZ Premium can render 4K resolution and HDR colour. So, not only is it at par with competing flagship phones, it can actually show you more pixels on occasion. We’ll get to the 4K and HDR bit a little later, but let’s talk about the display in general at first. The 5.5 inch display is rendered in 1080p for the most part. So, there’s actually little to separate it from the Xperia XZs. Colours are slightly swayed towards the cooler side, but there’s excellent control settings for this, allowing you to tune them to your own preference. I found the Pro settings to my liking, but you can choose others, or use toggles to directly tweak the primary colours. The display is as bright as it gets and Sony seems to have tweaked Android’s auto-brightness algorithms to good effect. The XZ Premium isn’t as adept at manipulating brightness as an iPhone, but it’s much better at it than most Android devices. It judges ambient light quite well and brightness levels are changed smoothly. The display kicks into higher gear only when you deliver 4K and HDR videos. To be absolutely frank, higher resolution is of little significance on a 5.5-inch panel. While the the display is noticeably sharper, you’ll have to take a really close look to ascertain the same. I used an Xperia XZs (1080p) and XZ Premium (4K) side-by-side, playing and pausing the same video in 1080p at precisely the same time to find the difference. With enough effort you’ll see added details like the scales on human hands, but it doesn’t make a very big difference for regular usage. The tangible difference here is that the Xperia XZ Premium is the only smartphone that trigger’s YouTube’s 4K playback option right now. The really important addition here is HDR colour, which actually makes a much more noticeable difference. The XZ Premium produces better details in shadows, and contrast ratio and colour details is enhanced here. You won’t see this difference unless you’re comparing HDR and non-HDR displays side-by-side, but HDR does allow viable benefits in the long run. Sony’s display is at par with the Samsung Galaxy S8 or LG G6 on this front. It’s worth noting that the phone tends to heat up a little bit when playing 4K and HDR videos. It’s not abnormal heating by any stretch, but internal temperatures can rise to 44 degrees, which you won’t find during regular video playback. Also, the Xperia XZ Premium drops 5% battery after 15 minutes of 4K HDR playback, which is not ideal. The Xperia XZ Premium is our first phone running the Snapdragon 835 chipset from Qualcomm. Clocked at 2.45GHz, the chipset uses eight of Qualcomm’s semi-custom Kryo cores and supports up to 1Gbps downlink speeds. It’s built on the 10nm fabrication process, making it power efficient as well. But, for all intents and purposes, the Snapdragon 835 is an evolutionary update over the 820. On the Xperia XZ Premium, it drives benchmark scores to as high as Android phones can do today, but regular usage is not noticeably faster. To be clear, the XZ Premium is as fast as any flagship should be, it’s just not noticeably faster. You’ll find subtle differences in the fact that the XZ Premium switches from mobile data to WiFi (and vice-versa) faster than the XZs. Similarly, Bluetooth connections are achieved faster too, but not because of Bluetooth 5.0 support. The Xperia XZ Premium processes such functions faster than phones with the Snapdragon 820, but it’s an incremental improvement only. There are also no noticeable heating issues on the Xperia XZ Premium. In regulated environments, with the room temperature controlled to 24 degrees, the phone rises to about 45 degrees on heavy gaming for over half an hour. That’s normal for smartphones today. A similar result is found when recording 4K videos, more heat is generated with this than on gaming. That’s not abnormal either. Overall, the Xperia XZ Premium is as fast as any flagship today, and in comparative terms it’s faster than the LG G6, which runs on the Snapdragon 820. You can expect smooth UI transitions and reasonably lower load times. Although we must say that the Samsung Galaxy S8 felt faster in terms of regular user experience. Like the XZs, the Xperia XZ Premium also boasts 960fps slow motion recording. You can learn about the technology involved and its impact in the Xperia XZs review. The camera on this phone is the same as the XZs anyway. The camera here is faster than previous Sony flagships and image quality is excellent in most conditions. It’s not the best you can get in terms of low light performance. The XZs produces good details and accurate colours, while noise is kept under control. Contrast levels are decent as well and dynamic range is pretty high. The camera works well as long as you’re not shooting in low light. In such conditions, phones like the LG G6 (review) and Samsung Galaxy S8 (review) are ahead. While the G6 produces clearer details and better contrast in low light, the Samsung Galaxy S8 clicks brighter photos. While Sony has reduced shutter delay and processing times on this phone, both the LG G6 and Galaxy S8 remain faster. Another tricky element of the Xperia XZ Premium camera is the dedicated shutter button. While camera enthusiasts will indeed appreciate the button, it’s somewhat erratic in practical terms. There seems to be a noticeable delay between when the button is pressed and the photo clicked. Also, half pressing the button should direct the phone to focus, but this doesn’t work well sometimes. For the most part, the Xperia XZ Premium is at par with any flagship smartphone out there. But that can’t be said about its battery. While flagship phones do produce only about a work day’s worth of battery life, the Xperia XZ Premium lasted us lower still. On regular usage, you’re looking at about 38% lower battery life than the Galaxy S8 and nearly 45% lower than the LG G6. The Sony Xperia XZ Premium lasts just under 6 hours on the PC Mark Battery test, which is the weakest score for a flagship on our benchmark tests at the moment. You’ll need to charge this phone twice a day to have it last a full 24 hours. 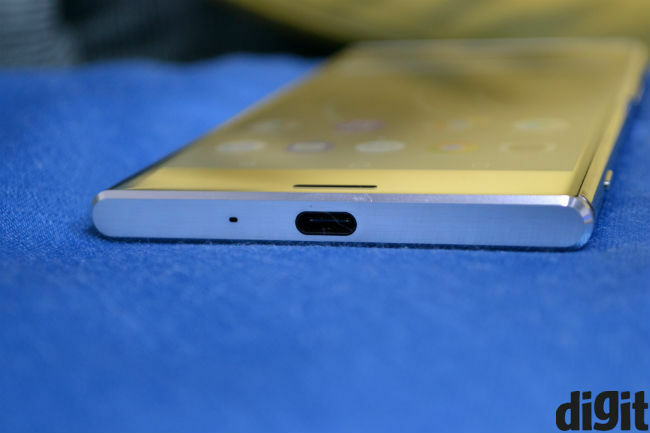 Sony does allow fast charging, so you can get a quick boost of power when you need it. Streaming an hour of HD video on Amazon Prime Video uses about 20% battery, while an hour of gaming is a tad more power consuming. In essence, if you charge this phone to 100% at 9am, you’ll need to charge it once more at around 5pm. If you’re a heavy user, you’ll need another charge in between. While we’re on the topic, Sony’s Battery Care feature is a nifty addition. The feature learns when you usually leave your device on charge for extended periods. If it detects the same, it trickle charges the phone over this time, so that the battery’s life is extended. It also tells you when your battery is estimated to run out, or if it’s going to run out before the next charge. The predictions aren’t always accurate, but trickle charging to extend life is a good idea by Sony. To sum up, the Sony Xperia XZ Premium is the best Sony has to offer right now. It keeps up with competing flagships for the most part, with battery life being it’s real downfall. 4K resolution and 960 fps slo-mo video recording are gimmicks that some may like, but it’s tough to see practical implementation for those. The Xperia XZ Premium is a decent flagship smartphone for the Sony fan. It’s just not the smartphone we’d recommend over the Samsung Galaxy S8. Samsung’s phone feels faster, shoots better photos and lasts longer on each charge. That said, amidst a sea of well matched flagship phones, the Sony Xperia XZ Premium is certainly one that can catch your fancy.